Ancient battle field weaponry, minus the actual destruction! Amazing catapult kit that will let your kids’ minds wander back to the older days of ferocious fights on the battle field. In case you haven’t heard of this weapon before, the ballista was used for the first time in 398 B.C and may have been one of the most monumental inventions in warfare. It was built to be a mobile attack weapon and was designed to throw stones and bolts. Although this kit doesn’t have the same range or destructive power, your kids will still have loads of fun with it. It comes with easy to follow instructions so their armies will be up and running in no time. 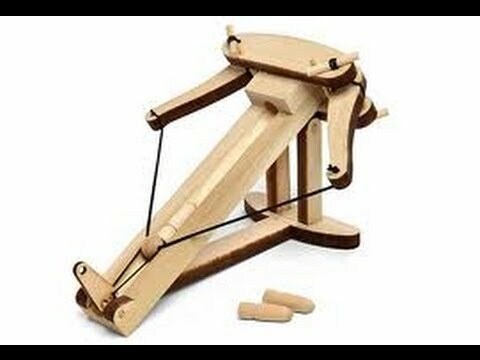 Looking for something different than this catapult kit?